Providing you with the skills, techniques and processes to deliver effective change. Change management training is an essential element of your career development. All leadership roles now require an understanding of how to lead yourself and others from current to new ways of working. Just as project management has become a standard requirement of many non-project roles especially in the UK, change management skills form a significant proportion of the competencies needed for the most interesting, exciting and highly paid roles being advertised today. Increasingly, recruiters are seeking evidence of these skills through change management qualifications and change management certification. After all, if you are hiring someone for a change role, a minimum requirement should be change management qualifications. Not only are you expected to have your own ideas about how to improve your work, you also have to respond to the high volume of changes that originate from outside your organisation including regulatory changes, technological innovations and new, disruptive competitors who are perceived as providing your customers with more of what they want. During the Agile Project Management course in London and elsewhere, there is guidance on how to create models and prototypes which stimulate feedback from users. You will also learn how to run professional workshops throughout the project lifecycle to ensure collaboration between the project team, users and subject matter experts within the business function. Agile project management is still an important skill set because it enables you to take your improvements from idea, through the steps of research, design, development and testing to successful creation. If you don’t have evidence of Agile skills on your CV is it time to book agile training courses. However, it is the skills and knowledge of change management that will help you realize the benefits of your idea. Benefits become a reality when everyone involved has changed their ways of working, incorporating the project deliverables seamlessly into how things are done. This journey involves awareness building, so that everyone realizes there is a need to work differently, coupled with persuasive communications to motivate them to try new ideas. Some of these attempts at new ways of working will be successful and must be shared across your organisation. Others will fail, lessons will be learned and you will need to facilitate this feedback and help your colleagues adapt their ideas until a workable solution is found. If you are going to learn how to be a successful change manager, look for change management courses that give you the fundamental understanding of a wide range of techniques, methods and practices. Changes are contextual to the culture of your organisation and the type of change you are trying to achieve so you need to be able to select relevant change management activities from a wide range of options. The APMG Change Management Practitioner course has an excellent syllabus that aligns to the Change Management Institute Body of Knowledge. It is internationally recognized. It includes the most popular and the most well-known theories of change including work from Kotter, Bridges, Kubler-Ross and Senge as well as practical guidance, suggested structures and content for Culture Integration, Impact Assessments, Stakeholder Analysis, Change Plans and many more. Change Management delivers key strategic initiatives successfully by helping leaders engage with their staff and other stakeholders. 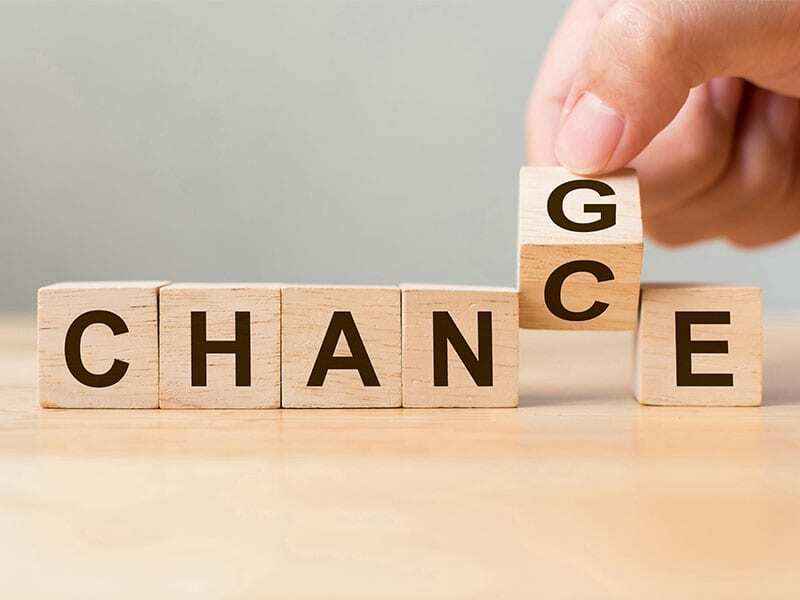 Change was once seen as something that happened after you spent money on a project or initiative but today it is a highly developed approach to changing how organisations work. Change Management courses have been around for a while as part of wider management learning programme but it was in 2008 when the APMG Change Management Foundation & Practitioner course was launched by Melanie Franklin that it became part of the professional project manager resume. Based off a course manual, the magic for delegates taking the Foundation and Practitioner courses was the practical application of the theory to real world project environments. Linking the syllabus existing courses such as PRINCE2, MSP, MoR and others meant that professionals were able to map their project management business language to the new world of change. Since the launch of the Change Management certificate in 2008, Melanie has trained thousands of professionals and coached over 100 organisations into adopting Change Management principles. Why is Melanie Franklin such an expert in Change? During her time running global projects for investment banks in the 1990s, Melanie recognised that getting buy-in from staff impacted by the changes in technology or processes was the most important determinant to whether a project was successful or not. While she continued to grow her accredited training business around traditional waterfall project management methodologies, she devoted her consulting time towards behavioural mapping and change management. Her first publication in 2003 was followed by 7 others and each one moved her towards her latest books titled Managing Business Transformation and Agile Change Management. She continues to run her highly popular Change Management Foundation and Practitioner courses in London every month as well as delivery similar course for clients at their location whether in London, the UK, Europe or Middle East. Her series of webinars on Change Management in conjunction with the APMG are always well attended while her publications and blogs on practical change are sought after by change professionals and those seeking to enter the industry. Melanie was appointed Co-Chair of the Change Management Institute (UK) in 2014 and she coordinates events and conferences for the change industry. So what are the benefits of the Change Management Certification? The full Change Management Foundation and Practitioner course runs for 4.5 days and takes delegates through the 4 concepts of Change. The first 3 days focus on the groundwork and concepts of effective Change Management and culminate with the Foundation exam in the 3rd day. Practitioners then stay on for the 4th day where skills in applying the Change methods to practical environments are taught. Delegates take the Change Practitioner exam at the beginning of the 5th day. Melanie Franklin runs her courses with high intensity and practical examples drawn from her active Change consulting work with clients so delegates always find direct application to their own work. What are the Key techniques in Change Management? Are there Key principles in Change? Is Change Management training just for those working in projects? Certainly not – most people coming onto the Change Management courses in London are from a general management and consulting back ground. They are seeking ways in which they can enhance project delivery and benefit realisation by having the effective change management principles applied. How is Change Management linked to Agile Project Management? Melanie Franklin pioneered the combination of Change and through her book Agile Change Management. Seeing the benefits of taking behavioural and leadership skills into the structured project management environment, she took the short-term characteristics of Agile Project Management and combined them with the medium term objectives of Change Management. 95% of delegates taking a Change Management course with Melanie also take the Agile Project Management Practitioner course as they also see the benefits of combining the two subjects. How is the Change Management qualification recognised? The Change Management course was launched by the APMG and is recognised by the Change Management Institute and APM. This gives the Agile Project Management qualification a global recognition. Where are Change courses run? Melanie Franklin runs her open scheduled courses in London and delegates from anywhere in the world can attend. Clients also ask her to run Change courses at their offices around the world. So far she has delivered Change throughout England, Scotland, Ireland as well as Denmark, Germany and Holland. Further afield she has run courses in the UAE and Saudi Arabia.